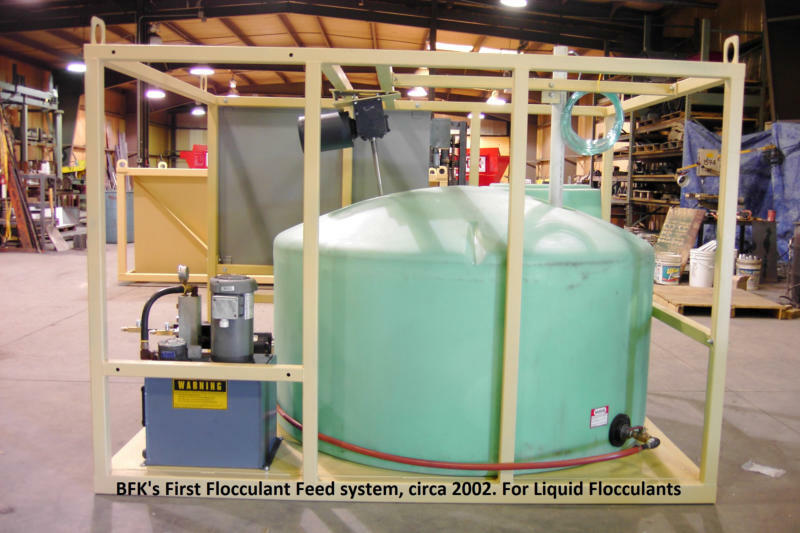 BFK began working with flocculants in concrete plants way back in 2002. Back then, we started with liquid flocculants that had to be mixed with water and stirred before pumping into the settling ponds. 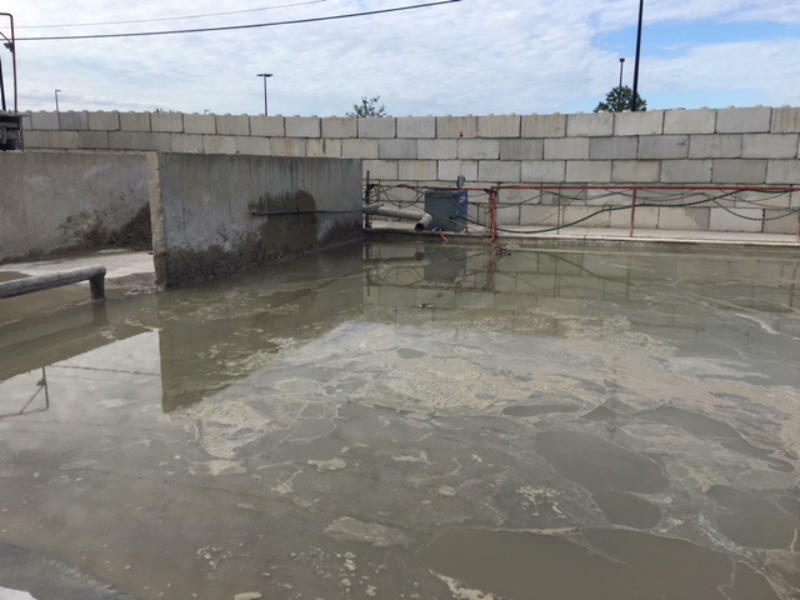 Worked well, we were able to drop the majority of the cementitious fines in the first pond at a local ready mix plant operating a Snubnose Reclaimer. Problem was, the liquid flocc was a sticky, slippery mess maker. On top of that, it took a 500 gallon tank with a continuous mixer and separate pump, a rather costly set- up. In an effort to find more efficient ways, we started working with granular flocculants. Much easier to work with (no pre-mixing), much easier to store, and much easier to feed into the slurry. Equipment size and cost were lowered dramatically. 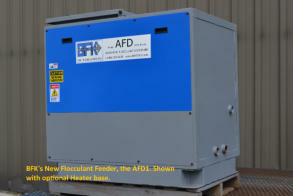 Our new Model AFD1 Automatic Flocculant Dispenser is like all our designs - simple to operate. 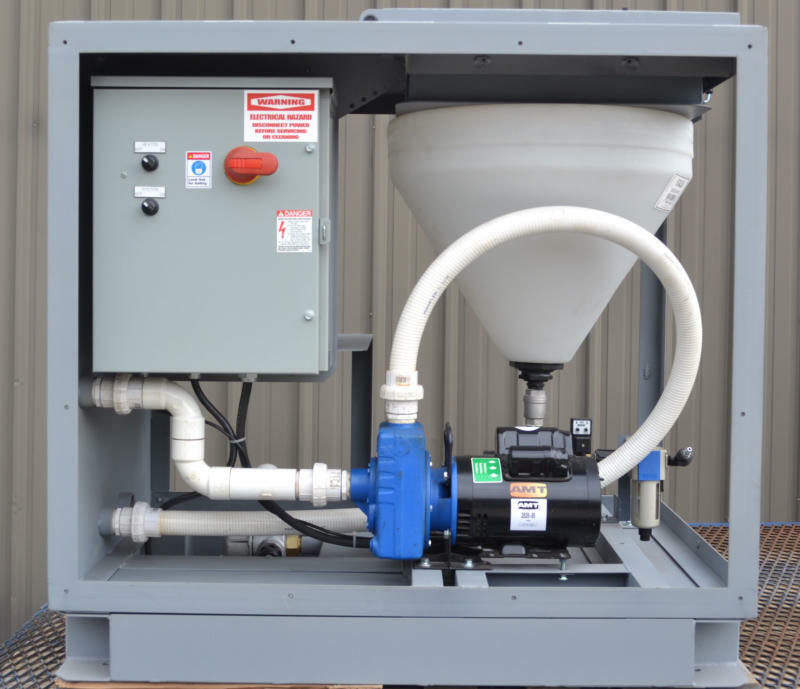 It contains a self-priming centrifugal pump that simply pulls the slurry in, and sends it back out to the pond to continuously stir and mix the pond and keep the solids suspended so that they can interact with the flocc particles. There is also a poly tank that holds (2) 50# bags of flocc, and by using compressed air, the flocc is simply blown out onto the surface of the pond, where it is mixed in via the pump action. Fill the tank with flocc, turn it on, and let it go - simple! Ever tried to stockpile waste cement dug out of your settling ponds? 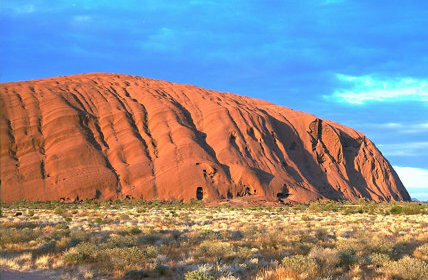 It takes awhile to dewater and dry, and when it rains, the material turns back into “muck”. 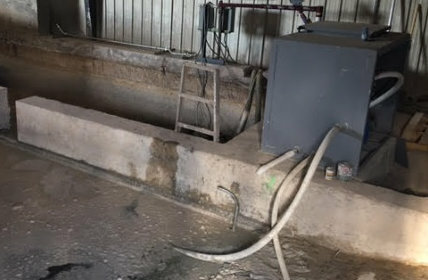 With the use of SlurrySep™ Flocculants, muck issues are much less of a problem, as the bentonite clay component tends to repel additional water, keeping it from mucking up your stockpile. If there is still excess water, you can add SlurryDry™, mix it up with your loader, and absorb any remaining water. This is a great way to work with the BFK Bunker - let the material drain overnight. 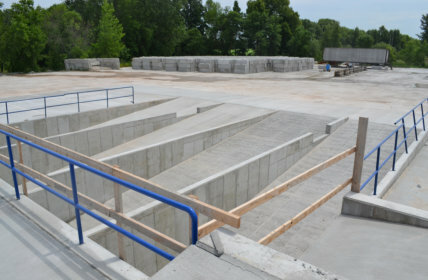 Next morning, add SlurryDry™ to the pile, and load out the solids without excess water. SlurrySep™ Flocculants:  Help separate cement from slurry much more quickly than gravity alone, typically allowing for shorter and/or fewer settling ponds.  In most cases, provide clearer water for use back at the reclaimer, minimizing the solids load on the pump and reclaimer plumbing.  Bind many heavy metals present in cement slurry to the flocced cement particles, removing much of them from the slurry stream.  Bind up and drop out many color pigments. 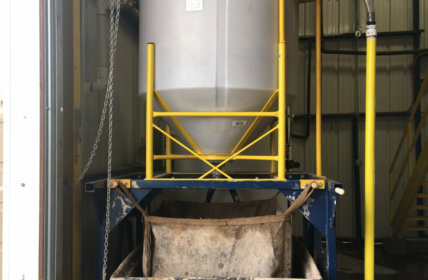  Might make spent cement disposable at a land- fill. [Consult local landfill first]  SlurrySep™ also helps to keep the reclaimer plumbing and pump internals clean, dramatically minimizing build-up. 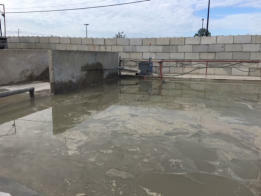 SlurryDry TM SSG Super Absorbent:  Forms a stable, non-flowing solid from concrete slurry that is easy to manage and dispose.  Only adds 1-3% to waste volume for decreased hauling costs.  Absorbs 200-300 times its weight in high pH wastewater. 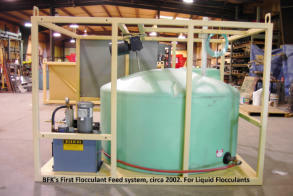 BFK began working with flocculants in concrete plants way back in 2002. Back then, we started with liquid flocculants that had to be mixed with water and stirred before pumping into the settling ponds. 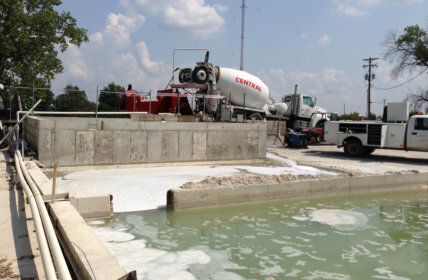 Worked well, we were able to drop the majority of the cementitious fines in the first pond at a local ready mix plant operating a Snubnose Reclaimer. Problem was, the liquid flocc was a sticky, slippery mess maker. On top of that, it took a 500 gallon tank with a continuous mixer and separate pump, a rather costly set-up. In an effort to find more efficient ways, we started working with granular flocculants. Much easier to work with (no pre-mixing), much easier to store, and much easier to feed into the slurry. Equipment size and cost were lowered dramatically. 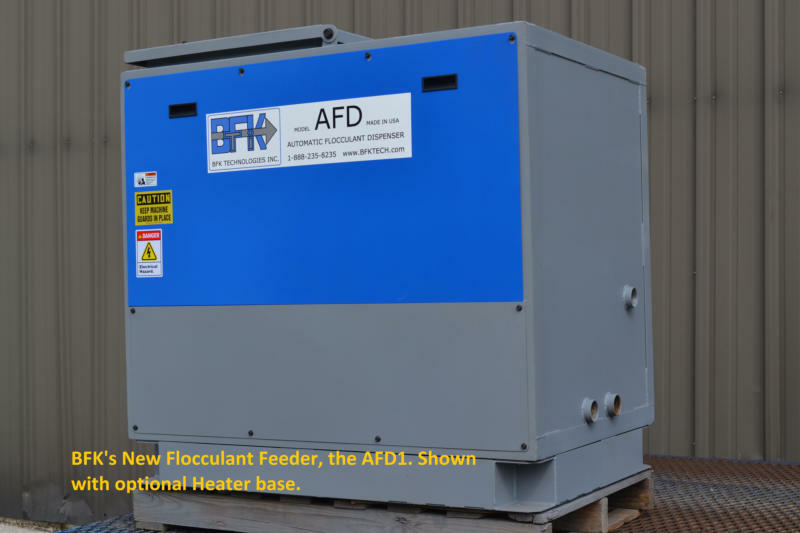 Our new Model AFD1 Automatic Flocculant Dispenser is like all our designs - simple to operate. 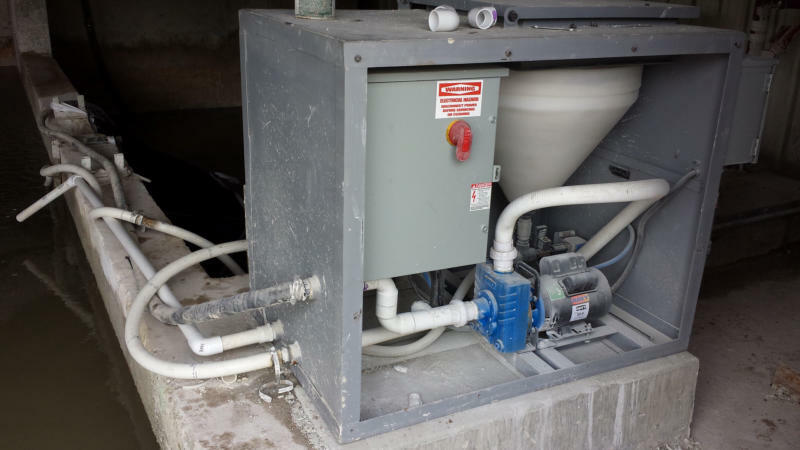 It contains a self-priming centrifugal pump that simply pulls the slurry in, and sends it back out to the pond to continuously stir and mix the pond and keep the solids suspended so that they can interact with the flocc particles. 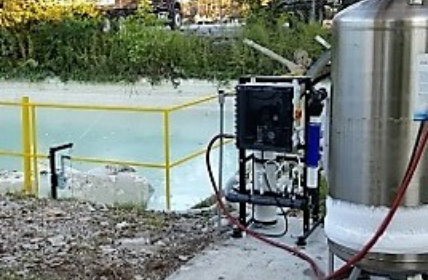 There is also a poly tank that holds (2) 50# bags of flocc, and by using compressed air, the flocc is simply blown out onto the surface of the pond, where it is mixed in via the pump action. Fill the tank with flocc, turn it on, and let it go - simple!